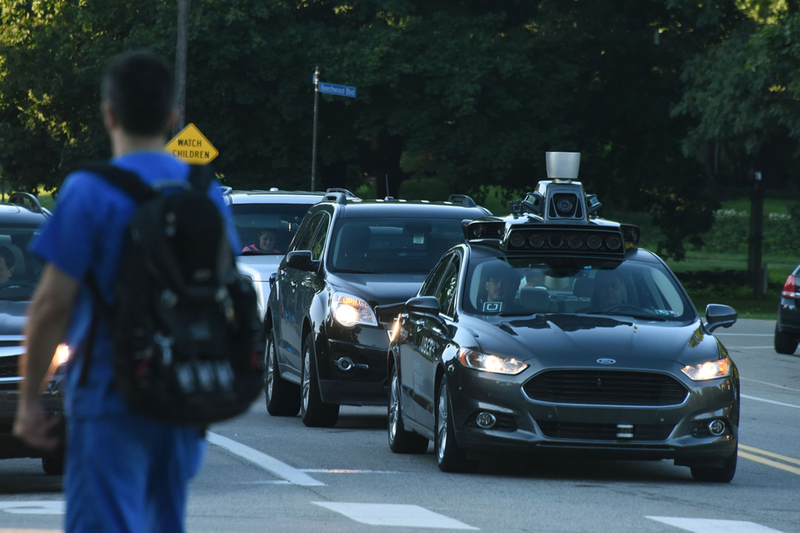 Over the last semester, students have witnessed Uber’s self-driving cars racing down the streets of Oakland, and now, the Pennsylvania Department of Transportation wants more. After Pittsburgh lost the Smart City Challenge in July 2016, PennDOT submitted an application to the U.S. Department of Transportation requesting that the agency consider Pittsburgh, and parts of Pennsylvania, as a national test site for autonomous vehicles, expanding the city’s investment in driverless vehicles. “We’re thrilled to be a partner with PennDOT on this application and continue our leadership as a laboratory for innovation that benefits all residents,” Pittsburgh Mayor Bill Peduto said in a press release on Tuesday. In the application, which PennDOT submitted on Dec. 19, Peduto and PennDOT argue that Pittsburgh is an optimal location for testing because of its diverse mix of streets, bridges and tunnels. In addition to Pittsburgh, PennDOT accentuated the test tracks at Penn State University and the Pocono Raceway in the application for autonomous driving trials. “We’ve put in significant work on this issue with our task force, with our partners in the legislature, and through close collaboration with the industry,” PennDOT Secretary Leslie S. Richards said in the release. At this point, Pennsylvania must wait, at most until the end of March, for the U.S. Department of Transportation to make a decision — again. Pittsburgh applied for the U.S. Department of Transportation Smart City Challenge — a national program that offered up to $40 million to the city with the best plan to fully integrate innovative technologies into transportation — in Dec. 2015. Although the city lost, Peduto said he wants to follow through on the project even if Pittsburgh is not the winning city, though it would take time to raise the $40 million, as The Pitt News previously reported. The city first became a hub in spring 2015 for self-driving cars when Uber started using the city streets to test its latest technology. By September of that year, Uber started giving driverless rides to willing passengers in modified Ford Fusions. In the same year, Delphi — a United Kingdom automotive parts manufacturing company — acquired a CMU spinoff company specializing in self-driving software. The company, called Ottomatika, began testing its own self-driving vehicles on the streets of Pittsburgh in August 2015. With two companies offering driverless rides throughout the city, Pittsburgh was a formidable contender in the Smart City Challenge. The U.S. Department of Transportation narrowed the list of contenders down to six other cities by May of 2016 — including Columbus, Ohio; Kansas City, Kansas; Austin, Texas; Denver, Colorado; San Francisco, California and Portland, Oregon. Eventually, Columbus was granted the $40 million to develop applications for providing more efficient human services to residents and visitors, such as expecting mothers. Although Pittsburgh didn’t get the funds from the Challenge, that hasn’t deterred PennDOT, Peduto and Richards from staying with their original message. “This application further illustrates that we’re a national leader in supporting automated vehicle development…” Richards said in the release.